Seattle Bed Bug Professionals is the local Seattle, WA pioneer when it comes to bed bug extermination. We offer a full-range of long-term, highly-effective treatments meant to kill bugs, larvae, and eggs all at once. Our eco-friendly heat treatments and wide range of safe chemical options will help you ensure you never see a red bite on your skin again. Contact us for a free quote. Guardian Roofing was founded on one basic principle. Focus on helping people solve their problems. This sounds elementary. But if it is, why do so many Puget Sound homeowners have so many bad contractor experiences? Welcome to Fleabusters of Washington! You have nothing to lose but fleas! At Darman Pest Control in Bellevue, WA, we know how upsetting an infestation can be. Pests are not only unattractive, they also represent a serious health hazard. Our experienced pest exterminators have access to the latest equipment and innovative, environmentally conscious techniques that will help rid your premises of unsightly, unwholesome critters. Welcome to our business! Healthy Homes is a locally owned and operated family business servicing the greater Puget Sound Area. We believe that it is our responsibility to not only provide our clients with safe affordable solutions for their pest control and home service needs, but also to give back to our community and beyond. Safety Your safety is our concern. Science tells us that most insects and rodents are important to a healthy ecology, and statistically speaking, only a small percentage of these are considered to be “pests.” However, it is also agreed that this small percentage of “pests” can cause significant damage if not managed properly. This damage can include the loss of crops, structural damage, and the transmission of disease causing pathogens to humans and animals. So what is the solution? We at Healthy Homes utilize Integrated Pest Management (IPM). Washington State Legislature defines IPM as “a coordinated decision making and action process that uses the most appropriate pest control methods and strategy.” Simply stated, we at Healthy Homes listen to the specific needs of each of our clients, and use our experience and knowledge to help create a pest management plan that works best for them. We believe in saving our clients’ money! You heard us right! People above Profit is our motto! As a locally owned company we are able to keep our overhead lower than larger regional and national chains. This enables us to keep our prices consistently lower—a savings we pass on to you. Why? Because we care. At AARD Pest Control, our highly-experienced, courteous technicians are employees dedicated to constantly providing our residential and commercial customers with superior pest control results. We are confident you will be pleased with our level of knowledge and the care we take on each and every job. AARD Pest Control is a family-owned and operated company. 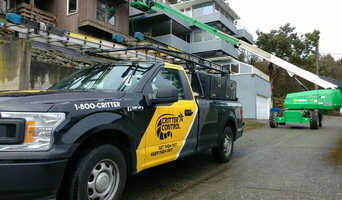 We have been serving King, Pierce, and Snohomish areas since 1980. The company was started with the goal of providing the highest quality, most effective and cost-efficient pest control solutions in the industry. We feel we have achieved that goal, but we’re not showing any signs of slowing down. We can customize a control plan for your residence or business. AARD is certified QualityPro and GreenPro service providers, meaning we have a proven record of professional excellence as a member of NPMA – National Pest Management Association. We have locations in Lynnwood and Kent to better serve the needs of our customers in both the North and South Sound areas. THE HALL LAW FIRM, P.S. MICHAEL W. HALL, J.D. THE HALL LAW FIRM, P.S. 1140 EDMONDS STREET EDMONDS, WA 98020 (425) 245-4671 Ph. michaelhall3200@gmail.com MICHAEL W. HALL, J.D., is a former Thurston County Superior Court and Edmonds Municipal Court Judge Pro Tem, Vice President of Puget Sound Christian College, and founding partner of The Hall Law Firm, P.S. He received his B.A. from the Edward R. Murrow College of Communications at Washington State University in 1976 (in Broadcast-Journalism) and a Doctorate in Jurisprudence (in just two years) from Southwestern Law School in 1987 (in Los Angeles). Michael has taught legal seminars in conflict management for the Washington State Bar and Boeing Management Associations, and currently maintains a general legal and estate-planning practice in Edmonds, Washington, where he also finds time to serve as pro bono legal counsel for various local and national non-profit organizations. With over 30 years of legal experience as an estate planning attorney, Hall has conceived and created a discreet and effective estate planning tool known as “The Disclosure Trust,” which provides highly-placed government whistleblowers, corporate insiders and enlightened citizens with a private, confidential vehicle to preserve, disclose and disseminate their knowledge of certain valuable information, proof and documentation either during their lifetime or upon their death. Having a lifelong interest in UFOs/UAPs, and the Paranormal, (being an ‘experiencer’ himself), Hall has been a field investigator for the “Aerial Phenomena Research Organization” (APRO), legal consultant for the “National UFO Reporting Center” (NUFORC), the “National Aviation Reporting Center on Anomalous Phenomena” (NARCAP) and the “Mutual UFO Network” (MUFON), as well as being the attorney of record for such noted ufologists as Peter Davenport, Dr. Richard Haines and Dr. James Harder. Fast, fun and professional. Pest control on your terms. 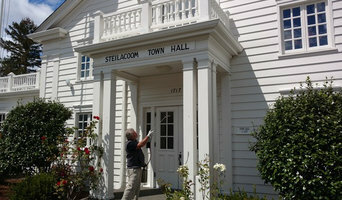 Issaquah Pest Control services homes and businesses in Issaquah, Sammamish and the Eastside. Surefire Pest Solutions prides itself on being the go-to choice for clients looking for Pest Control, Exterminators and Ant Control services. Pests can be removed in a variety of ways, depending on the type and severity of the infestation. Professionals in Seattle, WA may use baits, some of which have a lethal effect and spread to the entire population, or dust, which can get into hard-to-reach places where pests breed. Other alternatives are liquid insecticide sprays and gels. Safety and effectiveness of advised methods are usually discussed during the initial pest inspection. 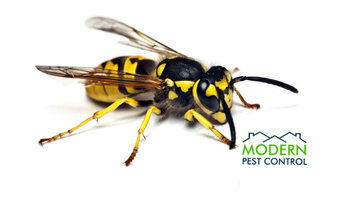 Find pest control services in Seattle, WA on Houzz. Scroll through this page to find an exterminator, fumigator or termite treatment expert in your area. You can read reviews to see how other homeowners rate their work, and contact businesses directly.